Woodpecker Dental Ultrasonic Piezo Scaler DTE D1 Cleaner Sealed Handpiece 110V. Features 1. 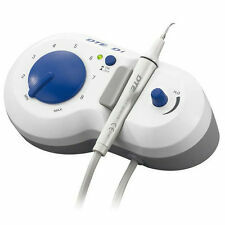 1 x Ultrasonic Piezo Scaler DTE type D1. The scaler tip is made of special material. The cavitation produced from the end of scaling makes the cleaning of teeth and the killing of germ easy. 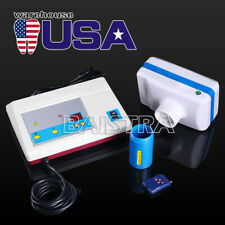 Compatible EMS Woodpecker Dental Ultrasonic Scaler Handpiece ,high performance. The sale of this item may be subject to regulation by the U.S. Food and Drug Administration and state and local regulatory agencies. Main Unit Input: 110 V. Helpful Links. "The sale of this item may be subject to regulation by the U.S. Food and Drug Administration and state and local regulatory agencies. FDA Certificate. Easy to adjust the proper vibration strength to make your teeth comfortable. Product manual 1. Standby current :≤ 20 ua. Motor noise :Below 60 dB. USB cable 1. Main body 1. SANDENT® Detachable Scaling Handpiece. The sale of this item may be subject to regulation by the U.S. Food and Drug Administration and state and local regulatory agencies. Main unit fuse:T1.6AL 250V. We're one of the largest online dental suppliers based on many qualified manufacturers in china. Looking forward to our friendly & win-win cooperation. Adapter fuse:T0.5AL 250V. 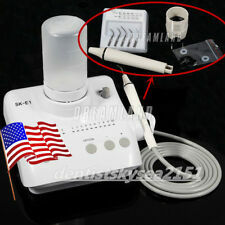 Ultrasonic Teeth whitening Tooth Stain Remover Tartar Teeth Stains Scaling Tools. High quality alloy steel, easy to remove dental calculus, smoke stains and tea stains. Electric Sonic high frequency vibration enables to erase leftovers or food debris on the teeth effectively. 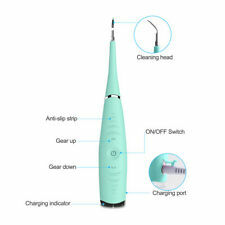 DTE WOODPECKER ULTRASONIC SCALER D5 LED. Helpful Links. Main unit weight 1kg. "The sale of this item may be subject to regulation by the U.S. Food and Drug Administration and state and local regulatory agencies. CICADA Dental Low Speed Internal Spray Inner Water Straight Handpiece E-TYPE. low speed Internal Water Spray Low Speed Handpiece. Straight handpiece Model:internal spray nozzle, be applicable to E-TYPE motor. Easy to clean scaler's surface, and simple to operate. 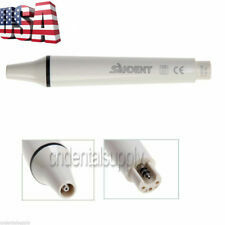 Detachable and replaceable LED light handpiece, more brighter and clear vision for dentist's operation. LED lamp can be changed and cleaned conveniently. General introduction: Detachable handpiece ,autoclavable under the the high temperature of 135℃ and the pressure of 0.22MPa. Avoiding Cross infection effectively.Following brand Compatible:EMS / Woodpecker Ultrasonic Piezo Scaler Features: Brand：Easyinsmile CE:CE certificate Autoclavable:135° sterilized within 2 minutes Material：Aero plastic CAUTIONS: Because of screw differences of different brand handpiece or tips, please notice that the CERTAIN Easyinsmile DENTAL tips and handpieces are compatible CERTAIN brands mentioned above. Otherwise, it will lead to the damage or breaking of tips, handpiece and equipments. The wrong usage even leads to accidents. We are not responsible for the problems caused by any wrong usage of our products. Packing list： 1 PC. Remove calculus and bacterial plasue on supragingival, neck of teeth and hard calculus on the teeth point. Your satis faction is our ultimate goal. The sale of this item may be subject to regulation by the U.S. Food and Drug Administration and. PD1:to remove the subgingival calculus. We will always make every attempt possible to resolve issues if we made a mistake. (It happens). If there is a problem, we can work together to resolve it. FDA Number: K163414. AUTOCLAVABLE Implant Scaler Set H6/H7. Fully autoclavable up to 275 F. Extra light hollow handle. Helpful Links. "The sale of this item may be subject to regulation by the U.S. Food and Drug Administration and state and local regulatory agencies. FDA Certificate. 1 UDS-P LED Ultrasonic scaler. Optical handpiece, more convenient for clinical operation. The handpiece is detachable and can be autoclaved to the high temperature of 135 ℃ and the pressure of 0.22MPa. Serial confirmation available in the official website!! · Scaling, Perio, Endo. · E3 Main Unit 1pc. We're one of the largest online dental suppliers based on many qualified manufacturers in china. Looking forward to our friendly & win-win cooperation. · The cable is made from silica gel tube, soft and durable. Compatiable with Woodpecker UDS Scalers (UDS-A LED, UDS-E LED, UDS-L LED, UDS-K LED. 100% Original Woodpecker ; Detachable handpiece with light. Detachable handpiece with light, better visibility. UDS-P LED, UDS-N2 LED, UDS-N3 LED etc.). SJ1---Ordinary size for scaling. SJ1 tip 1PC. SJ2---Sickle-shape for scaling. SJ2 tip 1PC. SJ3 tip 1PC. 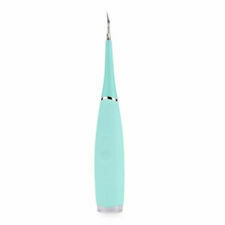 Air scaler handpiece 1PC. Retractor & Mouth Gags. Dental Syringes. Dental Practices / Dental Students. Dental Explorer, DE, 12. Stainless Steel Hollow Handle. The explorer provides the tactile information to the clinician’s fingers and is used to locate calculus deposits, tooth surface irregularities, defective margins on restorations, decalcified areas and carious lesions. Dental Piezo Ultrasonic Scaler Cavitron Self-Contained Water Bottles Fit for EMS. 3、Detachable handpiece can be 135℃ and 0.22MPa autoclave sterilization and to effectively prevent cross-infection. Your satis faction is our ultimate goal. 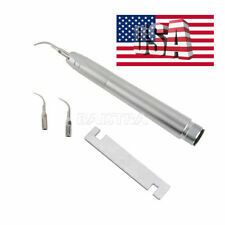 Dental Ultrasonic Scaler Perio Scaling Tip P1 Fit For EMS/WOODPECKER Handpiece. The sale of this item may be subject to regulation by the U.S.Food and Drug Administration and state and local regulatory agencies. Include 20 pcs. Brake Caliper. X - RegionalBox A. X- Padded FR Envelope. X - FR Envelope. Simple operation. Easy install. High Quality. Less pain than ultrasonic scaler, more applicable for pain sensitive patients. Weight(exclude scaler insert): 66.2 g (2,14 oz). Connection: 2-hole handpiece spiral tube. Scaler insert 3PCS --G1 G2 G4. Scaling ,Periodontic function. sealed handpiece. EUB (under 2KG): Only for USA, Canada, France,UK and Australia. Or replace item for you. GT : 1.75kg. Frequency:24kHz~33kHz. Location:Albany, Oregon, United States. All of our products are CE approved. The sale of this item may be subject to regulation by the U.S.Food and Drug Administration and state and local regulatory agencies. Less pain than ultrasonic scaler, more applicable for pain sensitive patients. Weight(exclude scaler insert): 66.2 g (2,14 oz). Connection: 4-hole handpiece spiral tube. Scaler insert 3PCS. Air scaler 1PCS.